In this June 5, 2018, file photo, voters cast their ballots in Los Angeles, California. 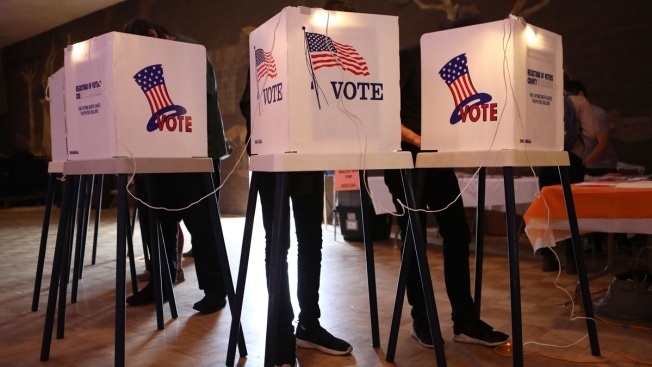 Latinos are on track to make up a larger share of eligible voters in the 2020 presidential election, more than the share of eligible voters who are black, according to new data from Pew Research Center. By 2020, 32 million Hispanics will be eligible to vote, just slightly more than the 30 million voters who are black. For Asians, the population is expected to be about 11 million, more than double what it was in 2000, NBC News reported. According to Pew, Hispanics are projected to be about 13.3 percent of the electorate — compared to 12.5 percent for African Americans — making it the largest racial or ethnic minority of the electorate for the first time. In 2016, African Americans made up about the same share at 12.5 percent, while Hispanics were 11.9 percent of the electorate. White voters will continue to make up the largest share of the electorate, 66.7 percent, but the Latino and Asian growth mean that in 2020 about a third of eligible voters will be non-white.